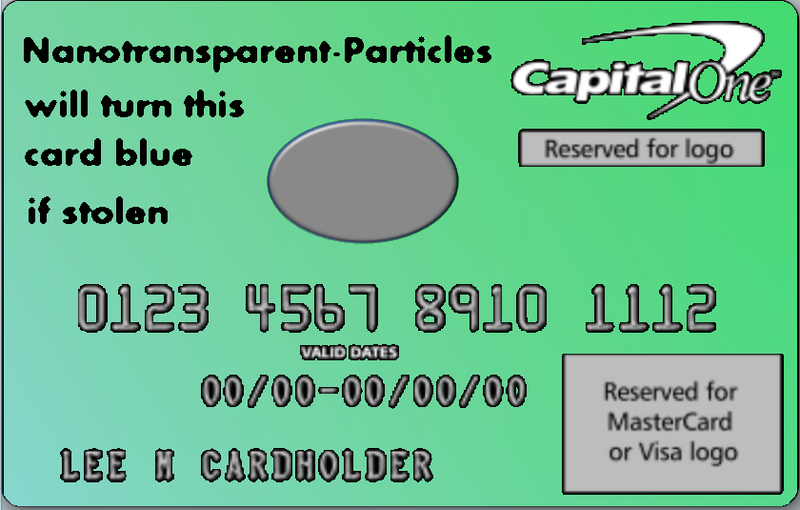 The Lansey Brothers' Blog: Credit Card Image Designs part 3-4/? I've been trying for a while now to get a ridiculous image on my credit card. See tries one and two. Each time they seem to reject it for one reason or another. 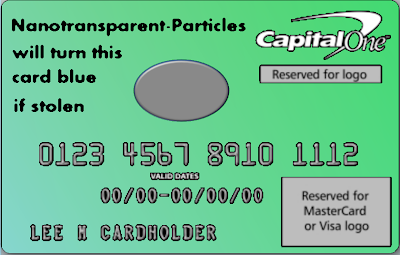 My plan was to tell the cashier "no, its the center oval that turns blue if stolen" or "it is only starting to turn blue because you are holding it" and then mutter something about how low-tech it is not to tell the difference between another person just holding it and actually having stole it. 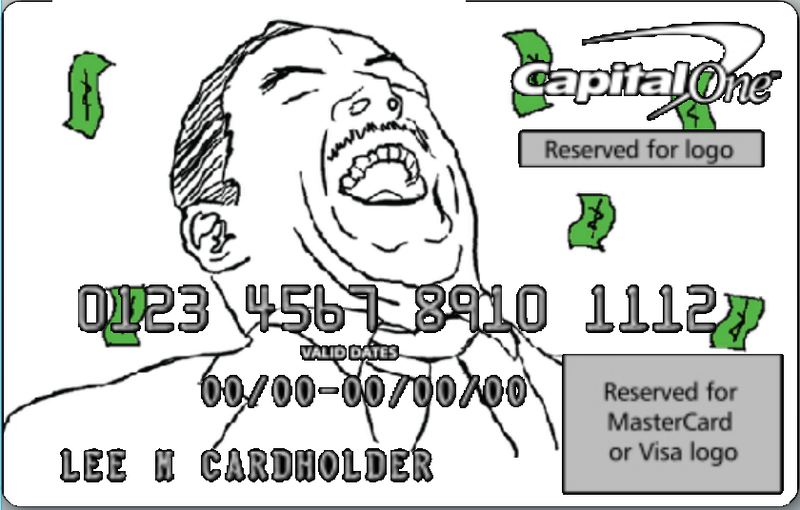 Anyway - I have high hopes for the card below that still has a chance to make it past the capitalone sensors! Edit: Card rejected ... an appeal has been submitted. LOL! love the second one! Man, they don't let you have ANY fun. Why did they reject the second one? Also, maybe a magic eye would get by their censors?